The unique sport of bodybuilding has finally, if suddenly, come into vogue. Of all the men who ever hefted tons of weight daily for years, just for the opportunity to pose on a stage for two minutes, Franco Columbu is one of the best developed—and easily the strongest. 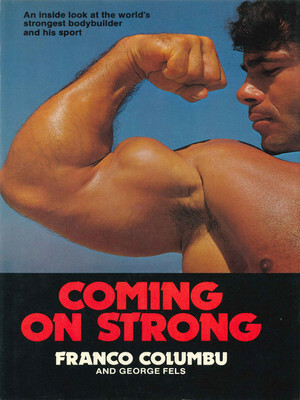 Coming On Strong examines Columbu’s private world, as well as that of his sport, and treats both with insight, intelligence, and humor. Where Pumping Iron offered an expert, objective view of the sport and its stars without detailed comment, Coming on Strong offers the athlete’s view from inside looking out. It recreates the great beauty and art to be found at bodybuilding’s highest levels, as well as the spirit, the competition, and the gamut of emotions to be found at all its levels. Most vivid of all is the picture of a remarkable athlete. 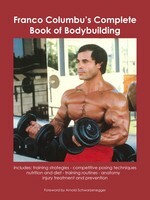 Dr. Franco Columbu, internationally known bodybuilding champion, has written a book that provides a commonsense approach to this much-misunderstood sport. 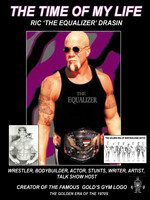 He discusses in detail such diverse aspects as nutrition, attitude, and actual physique-contest preparation, along with complete bodybuilding programs at beginning, intermediate, and advanced levels. 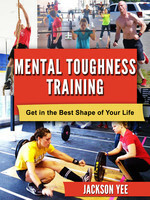 Exercises to develop every major muscle group in the body are described and illustrated (in sixty-five stunning black-and-white high-definition photographs). 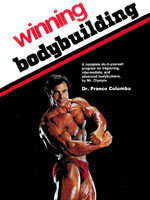 Columbu includes the why as well as the how of these championship techniques, points out common mistakes and misconceptions, and offers' practical advice to potential bodybuilders on training for personal rather than contest purposes. For bodybuilders at every level of achievement, for athletes of every persuasion, and for all people interested in the science of the body in action and the art of the body in repose, Winning Bodybuilding shows that bodybuilding is the ultimate challenge in athletics. Dr. Franco Columbu is considered the world's strongest bodybuilder and has been a repeat winner of virtually every prestigious title, including Mr. Universe, Mr. Europe, Mr. World, and Mr. Olympia. Columbu is the author of Coming On Strong, Weight Training for Young Athletes, Winning Weight Lifting and Powerlifting, and Franco Columbu's Complete Book of Bodybuilding.He is also a Doctor of Chiropractic and has a successful practice in West Los Angeles.